Onn VR Headset Review 2019: Should You Buy It? You are thinking of getting a virtual reality headset, but you don’t want to spend much money. These days, there are several low-cost headsets on the market, so which one will work best for you? In this Onn Virtual Reality headset review, we’ll tell you the features of the ONN VR headset as well as it’s pros and cons so you can decide if it’s a good fit for you. Despite virtual reality being relatively new, there are a lot of VR headsets on the market, and there are significant differences between them. Do you want a stand-alone, mobile, or PC-connected/console headset? There are three kinds of VR headsets, those that use smartphones for the content, those that have a built-in computer/screen and don’t need anything else, and those that connect to a computer or gaming console. Mobile headsets, like this ONN headset, are the least expensive but tend to be the most limited. Is this for a serious user or little kids? Serious users will want a high-quality device with good lenses and quality construction. If, on the other hand, you are buying the headset as a fun “toy” for your kids, then you probably would do better with a less expensive option because even a high-quality headset, when dropped onto the tile, will break...unless it’s made of foam. Are you planning to use the headset much? When you wear a virtual reality headset, you are essentially wearing glasses in front of a screen. As with any pair of glasses, the more you use them, the more important the quality of those lenses is. As with pretty much anything in this world, you get what you pay for. Don’t expect to get the best headset for just a few dollars. Generally speaking, as the price goes up, so does the quality and features. The ONN Virtual Reality headset is an ultra-low-cost VR headset. Headsets can range from a couple of dollars to over $500. The ONN headset is a mobile VR headset, meaning it uses your smartphone for the screen and computing. It has a front phone compartment with a hinged door and room for your power and headphone wires to pass through. The headset allows you to adjust the lenses distance between your eyes and the screen (optical focus) for better focus, though several users have reported they could never get the focus quite right. This is likely due to the low-quality nature of the lenses. Three-point adjustable nylon straps hold the goggles to your face, and the area that touches your face is padded. There are no buttons nor a remote for controlling your phone while it’s in the headset and there are no headphones, so you need to use seperate earbuds or headphones. The headset fits both iPhone and Android smartphones 6 inches or less. The ONN VR headset is an inexpensive way to start experiencing virtual reality. Below are some of the features and benefits. Some virtual reality goggles, like Google Cardboard, are simply lenses in a box that you can hold up to your face with your phone. The ONN headset’s 3-point adjustable vinyl straps free up your hands. Everyone’s eyes are different, and everyone’s eyesight is different. ONN’s adjustable optical focus allows you to adjust the lenses until you have a better focus on the screen. Even allowing you to compensate for some level of bad vision. This is important since you most likely will not be able to wear your eyeglasses while using the ONN headset due to the limited amount of space between your face the headset. Whether you own an Android or iPhone, you can use the ONN VR headset with it as long as it fits in the phone compartment which fits phones with a diagonal measurement of 6 inches or less. Don’t try to fit a larger phone in this headset and be careful when closing the phone compartment door as some people have reported their phone’s screens breaking when closing the door. If your phone is low on power, no worries. You can plug your phone’s power cord in while using this headset and still be able to close the phone compartment door. Similarly, you can plug your headphones in during use. The reality is that at $9, most phone cases cost more than this headset. I’ve seen it as low as $5 as well. You would be hard-pressed to find another headset (with straps) for less. 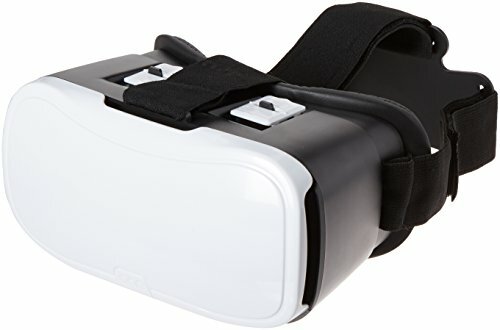 The low price makes this headset worth looking into if you are just trying out virtual reality, if you are getting it for your kids, or if have to get a gift for a party and want to get something pretty cool. The ONN VR headset may not be the most fantastic headset out there, but it has good features for the price-point. I looked all over the internet and found some pretty positive reviews for the ONN Virtual Reality headset. The ONN is just one of many headsets out there. If you aren’t sure that the ONN is the right choice for you, here are some alternatives to check out. 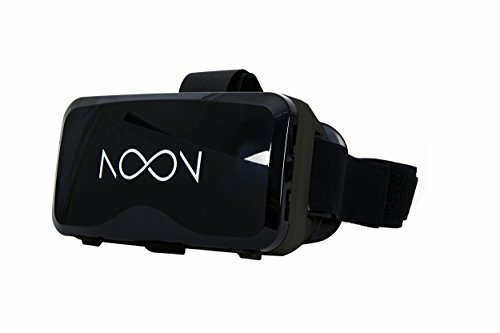 The NOON VR headset is a much more expensive headset, currently on Amazon. It has a magnetic cover for the phone compartment which means there are no moving parts to break and you won’t accidentally crack your phone screen. It fits phones from 4.7 to 5.7 inches which is less than the ONN (up to 6 in). The NOON has adjustable optical focus and higher quality lenses and, while it doesn’t have buttons to control your phone, it does have a new tap and stare feature to selecting items on your phone by tapping the back of your phone and then staring at what you want to select. The NOON VR headset might be a good choice if you want a higher quality headset, but don’t mind spending more. Materials: ABS + Spherical resin lens materials + SPONGE + Head Belt + Magnet, etc. Andoer has a cost that is comfortably in the middle, check it out on Amazon.It is very similar to the ONN headset, with a 3-point adjustable strap system, hinged phone compartment door, and padded faceplate. It also fits phones up to 6 inches. The Andoer headset has an adjustable optical focus and space for power cords and headphone cords. It has spherical lenses which appear to be higher quality than the ONN. The Andoer headset is very similar to the ONN other than the cost and the lenses may be of a higher quality. If you are concerned about lens focus, the Andoer may be a better choice for you. The Merge VR Goggles are marketed for kids, but adults can enjoy it as well. Where it helps with the kids is in the durable design. It is made of strong, flexible foam instead of plastic. Kids can be rough with devices, and the Merge headset is built to withstand that. 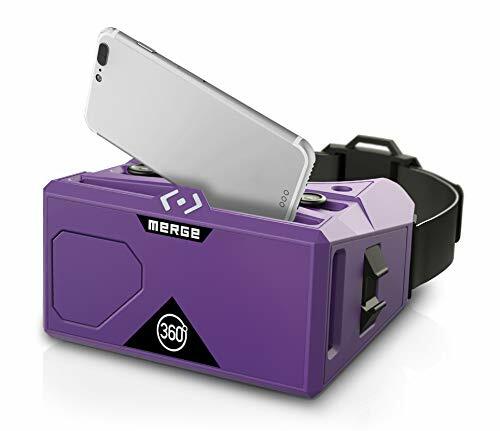 Merge also offers the Merge Cube, an interactive AR/VR cube which has hundreds of games and educational experiences. You must purchase the Merge Cube separately. Beyond the durable design, the Merge headset has several other features which are different from the ONN headset. It has a slot insert for your phone instead of a hinged door. It does not have adjustable optical focus but does have enough room for most eyeglasses. It also has adjustable pupil distance which allows you to adjust for the space between your eyes (width). Lastly, the Merge has buttons for controlling your phone while in the headset. The Merge may suit you better if you are giving the headset to kids, particularly if you purchase it with the Merge Cube. Also, if you want to use AR functionality on your phone, it will do that where the ONN does not. 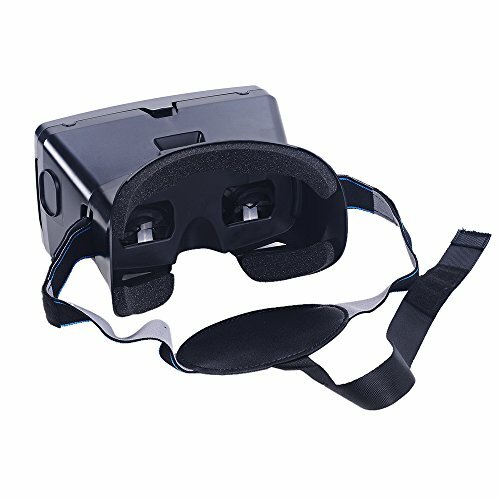 The ONN Virtual Reality headset is a basic VR headset which can be fun and start you off in the world of virtual reality for almost no money. If you are really tight on cash or you are looking for a cheap gift, this may be a good choice for you.